A double carport or a side by side carport depending on your understanding of the term, is simply a carport that allows for two cars to fit into it side by side. This is one of the most common forms of carports built in Adelaide. They are a lot easier to drive in and out of than tandem carports. By this we mean there is less fussing around as the other car does not need to move out of the way. 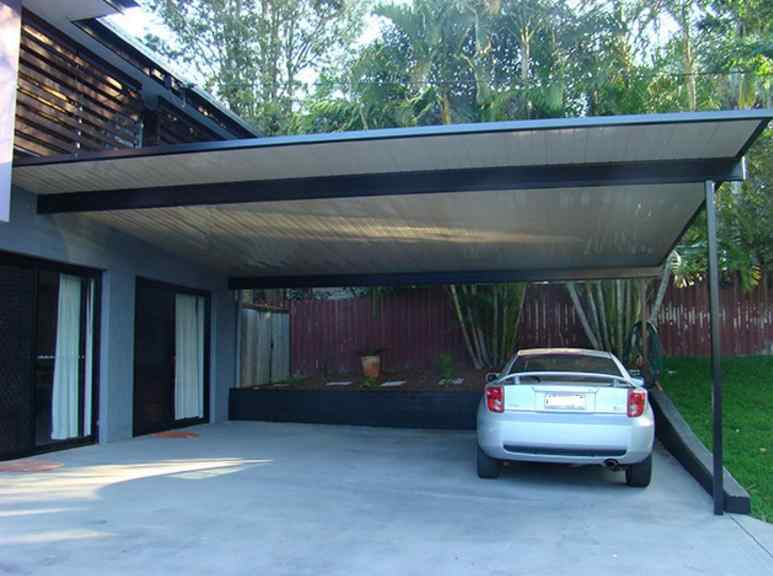 A double carport is essentially built to protect your car from the harsh rays of the sun and the winter rains. The double carport is also a cheaper option than building a double garage, as the sides are open, allowing for more ventilation. Leaving a car on in a garage can be dangerous due to the carbon monoxide. We can build a semi enclosed double carport. This would be done with vertical Timber Decking which would go on one side of the Carport. We could also put the vertical timber slats on as many sides as you wanted and potentially make a door for you as well. 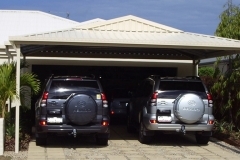 Why do people choose a Double Carport? The main benefit and reason that most people go with a double carport, or carport in general is you do not need a building permit or license from the council like you would need if you built a full on garage.